« Off Topic (sort of): Is the Placebo Effect Real? Always check ingredients first, manufacturers change product ingredients all the time. I have compiled some of these along with other non-detergent products on an Amazon astore for convenience, and some of the links below go directly (most of the mfr links went bad). A small % of astore purchases goes to SolveEczema if purchased through the link, on the order of $15/month). Unfortunately, not all of these laundry products are available on Amazon so I can’t easily include most of them in the astore. To save money or time, do it yourself! There are many online recipes for laundry powder and gel using bar soaps, and various amounts of borax, washing soda, and baking soda. They have an unscented laundry powder which is just simple soap, baking soda, borax and washing soda. More complicated list of ingredients than most of these, plus sprayed with citrus oil, but it’s essentially soap-based. I have used this product successfully. Liquid laundry soap, various fragrances. No unscented. 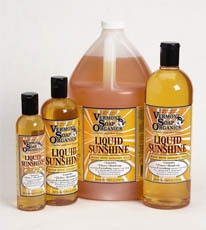 Vermont Soap has other liquid products that can be used in the laundry. Their website describes uses for each product. For many people, the only easy soap to access is Dr. Bronners. Unscented Baby Mild as probably the best place to start. Combine with baking soda, borax, and washing soda for better efficacy in laundry. This company seems to carry a full line of soap products. A lard-based soap flake product. This appears not to have any dyes or unnecessary ingredients. This company also sells a soap-based stain remover stick and bar soaps. They seem to understand the difference between soap and detergent per the site.